Winter is here and brings with it one of my favourite fruits; Usirikaya (known as Amla in Hindi, Nellikai in Tamil, and Gooseberry in English). This magic fruit is laden with Vitamin C, Vitamin A, and antioxidants; and has loads and loads of health benefits. Read more about the benefits of Amla or Indian Gooseberry. Amla is a seasonal fruit and so is preserved for use through the year. Today I am writing about one such recipe to preserve Amla. 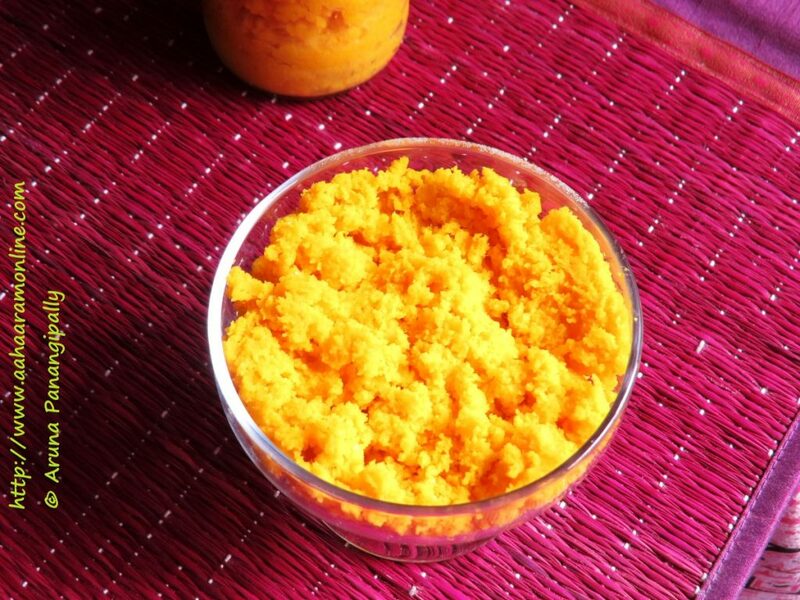 Called Usirikaya Nilava Pachadi, it is essentially a dry mix of pounded Usirikaya mixed with salt and turmeric. You can preserve this mix for over an year as long as no moisture gets near it. You will find this in many Andhra homes and this preserve is then used to make Usirikaya Pachadi | Andhra Style Amla Chutney as and when required. Do also try other recipes that use Amla: Usirikaya Pappu, Usirikaya Perugu Pachadi/Nellikai Thayirpachadi, Usiri Avakaya and Usirikaya Annam/Usirikaya Pulihora. Examine the gooseberries carefully and discard any that are bruise. I do this when I am buying the gooseberries. Wipe them dry with a clean dry cloth. Spread the gooseberries on a newspaper or cloth and let them dry completely. I leave them to dry overnight. Ensure your hands are completely dry. Using a dry knife, cut the gooseberries into small pieces. Discard the seeds. Pound or roughly grind the pieces with the salt and turmeric. The texture should be grainy and not very smooth. Transfer the Usirikaya Nilava Pachadi into a clean, dry, air-tight glass bottle. Close and keep away in a cool dry place. After 3-4 days, you can use it to make Usirikaya Pachadi. There are many ways to use Usirikaya Nilava Pachadi. 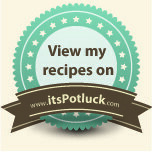 Here is a simple recipe for making Usirikaya Pachadi that you can relish with rice and ghee. 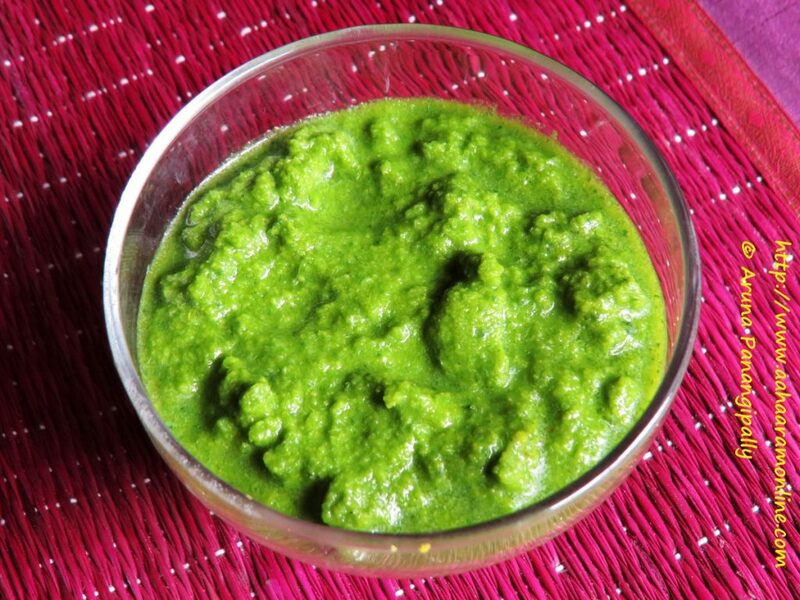 Grind the coriander, Usirikaya Nilava Pachadi, and green chillies together with a little water into a smooth chutney. Add salt, if required and mix well. Remember that the Usirikaya Nilava Pachadi has a lot of salt in it as a preservative. Add split red chillies and saute for a few seconds. Add to the Usirikaya Pachadi. 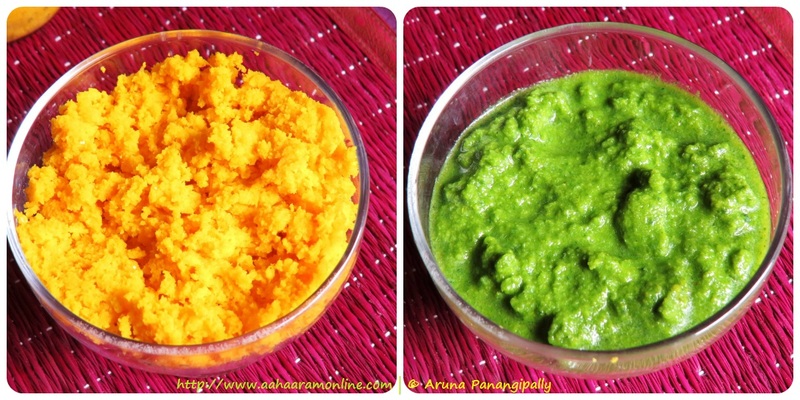 Mix some pachadi with hot steaming rice and ghee. I cannot emphasise enough the need for dry utensils, dry person, and dry amla for making the Usirikaya Nilava Pachadi. Even the slightest moisture will lead to the pachadi spoiling. I had amla pickle (store-bought) with lunch today. When I am at the Indian grocery store I buy anything I run across with amla in it. I would love to get hold of fresh amla. I haven’t had that since I was a kid. I hope you find some soon!